[Blind Gossip] This very beautiful and famous woman has been married more than once, and has coupled up with several male celebrities, including a couple of musicians favored by the over-40 crowd. She is currently single… but does not want to stay that way! She has decided that her next man does not need to be talented or handsome or smart. He just needs to be rich. Although she is very wealthy compared to the average person, she loves living a distinctly uptown lifestyle. She wants someone who can give it all to her: multiple mansions, yachts, a private jet, luxury travel, huge parties. 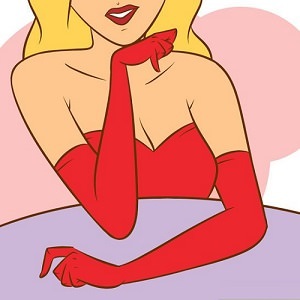 As soon as she heard that this billionaire was single again, she immediately started asking about him and about how she could arrange to meet him. She is a bit old for him… but you never know. She still looks good, and he does love dating famous women! [Optional] Do you think they’d make a good couple? Christie Brinkley wants to date someone very, very rich! Brinkley is not home licking her wounds, though. She’s on the hunt for a new rich man! Know who’s available? Mariah Carey’s ex-fiance, Australian businessman James Packer, 49. Carey’s Big Fish somehow wriggled off the hook, so he’s available to be snatched up by another woman who can dangle the appropriate bait. Since Packer, 49, digs the famous ladies, he and Christie might actually make a nice match, though Christie, age 62, is a bit long in the tooth compared to his usual girlfriends. Brinkley has been trying to arrange an introduction to Packer. We’ll see if that works out. In the meantime… Christie has begun dating another wealthy man, David Foster, 67. You may remember Foster as the very wealthy composer and musician who recently divorced the chronically ill Yolanda Hadid Foster of The Real Housewives of Beverly Hills. Yes, Yolanda is the mom of models Gigi Hadid and Bella Hadid. We like Foster and Brinkley together for many reasons. They are an age-appropriate couple. They are both wealthy in their own right. He loves models. She has dated/been married to famous musicians in the past. They both love living in rich beach communities (he lives in Malibu and she lives in The Hamptons). They are also both very concerned about social status and enjoy leading the glamorous life. Charity events! Mansions! Yachts! Private jets! The most interesting thing they have in common? They’ve each been married and divorced FOUR TIMES. Hey, we may not even need David Packer if this works out. Congratulations to Little Leigh for being first with the correct response! Billy Joel wrote a song about Christie Brinkley called Uptown Girl. Did you pick up on the “uptown” clue? Of course you did! Christie Brinkley and James Packer? Christie Brinkley and James Packer. Blech. Christie Brinkley and James Packer. Who knows? Why is she selling her house in the Hamptons? She LOVES the Hamps. She is a fixture on that scene. She looks fabulous, btw. She has the best plastic surgeon. Naomi Campbell. That billionaire who was with Miranda Kerr and Mariah Carey. No, wait. Not Naomi Campbell. Christie Brinkley. “Uptown”. Was with Billy Joel and John Cougar Mellencamp. 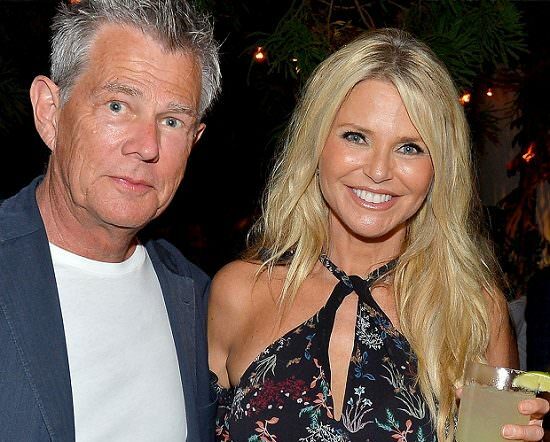 Christie Brinkley wants James Packer, run James run, don’t go from one crazy to another crazy. She would probably put out though. No.. She is bit long in the tooth for him. Her beauty bills probably be too much for him to maintain. Why not? Both love publicity, her kids are grown and she’s still beautiful. That would REALLY tick off Mariah lol. Oh, lordy, Christie Brinkley and James Packer? Watch out, James Packer – she’s coming for you! Christie Brinkley (uptown girl, dated John Mellencamp)and James Packer (the only recently-separated billionaire I’m aware of). Can’t be Goopy as she’s only been married once. Same for Amber Heard, unless you count the unofficial marriage she had with her girlfriend. Has she dated musicians? And yes, she appears to be very beautuful…UNTIL all of the makeup comes off and she is very average looking. GREAT makeup artist, though. Angelina Jolie…doesn’t really sound like her from the “wants” list. Heather Locklear? Eh, nah. No clue! Madge and Mimi’s ex ? Model: Christie Brinkley and her decidedly “uptown” tastes. Obviously Christie Brinkley because of the “uptown” comment for Billy Joel. She’s angling for James Packer. Oh brother. That woman’s got a screw loose. Is it me? Cause I feel like it’s me. Christie Brinkley and that Mariah Carey guy whose name I can’t be bothered to remember or look up. Wow…she REALLY likes money, and he appears to like birdbrains, so this might work out great. Gotta go with Christie (“uptown” girl) Brinkley and James Packer. Miranda kerr already had her chance with him. Christy Brinkley is now after a James Packer, yeah she’s quite a bit older but what the heck, go for it! Not sure if they’ll make a good couple, but she’ll probably learn from Mariah’s mistakes and get any papers signed asap if she lands him.